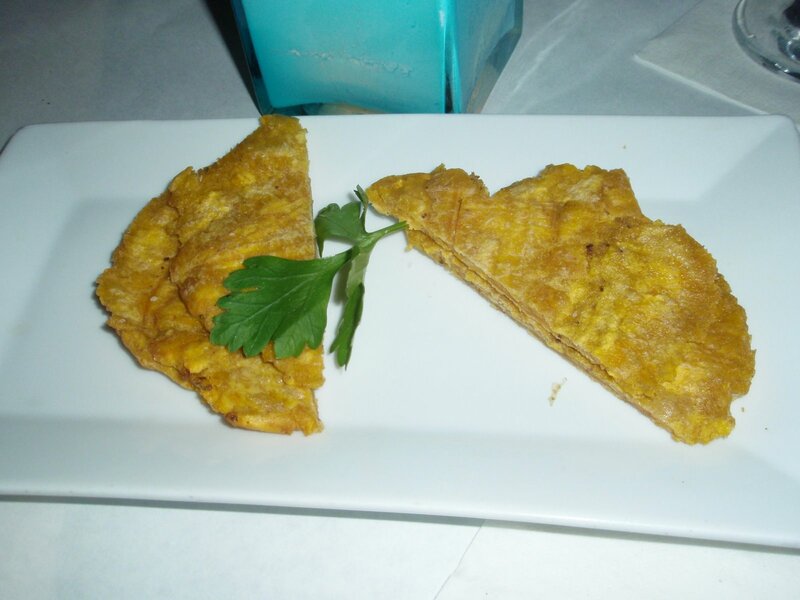 It’s Not All Fried in Puerto Rico! It was my first trip to San Juan, and I absolutely LOVED the weather, especially Monday when it was 13F in New York, while 85 and sunny in San Juan. Yep, hate me, but I am the one who is nicely tanned! I had no idea about the food there, though. 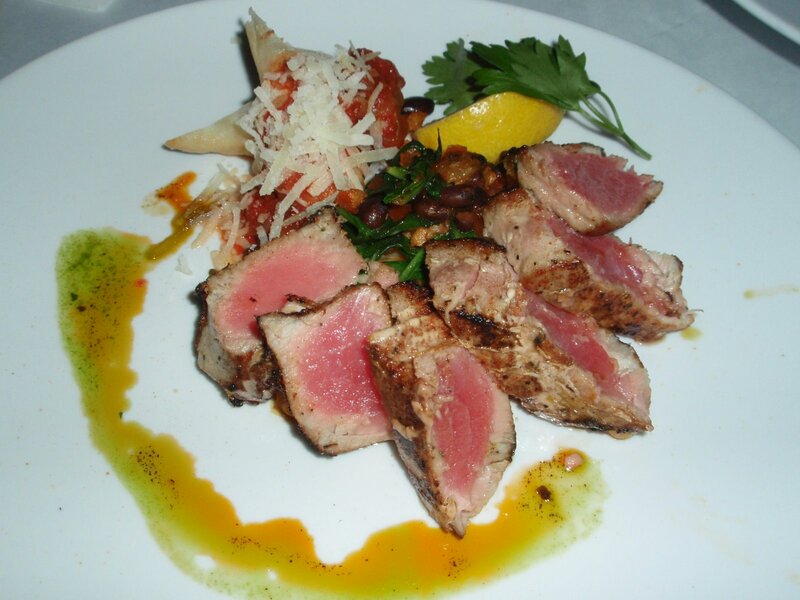 To my surprise, my hotel had BLT steak (which I will blog about some other time), as well as Il Mulino, and next door hotel had Ruth Chris’, etc. Unfortunately Pinkberry hasn’t gotten to that south yet, although the weather was perfect for it…. One night, we went out to Old San Juan to try to have some good local cuisine. The concierge at the hotel recommended a couple of places, and we picked a seafood restaurant called Aguaviva. Old San Juan itself was interesting. It was right next to a cruise ship dock, hence a lot of jewelry shops (who really needs to buy expensive jewelry or watch while on a cruise?). The restaurant scene was definitely Miami-esque. Aguaviva looked like it used to be a diner, and turned into a fancy seafood restaurant. For some weird reason, they asked for our names, though it wasn’t full whatsoever. So we said Donald. Since we were in beach island, we wanted to get good seafood dishes. 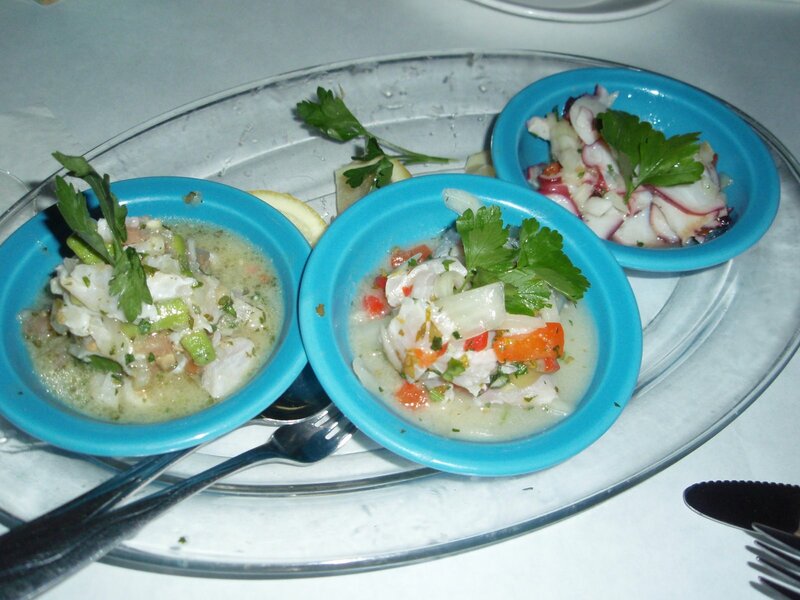 So we ordered 3 ceviches for appetizer. From right to left is octopus, snapper in lime juice, and fluke with avocado. I like carpaccio over ceviche, soy based sauce over citrus based sauce, but it was pretty good. Here is one fried item. Fried tortilla, to scoop up the ceviches. I ordered Tuna. I don’t know what it was called, but I remember it had some “empanada” referrence. It was basically seared tuna and some kind of empanada side (which tasted more like a spring roll). It was fresh and the sauce was good… To be quite honest, by this time, I had 2 martinis and don’t have a clear memory…. Donald had paella. Yeah, this is unusual paella, with pearl cous cous. I don’t think it had much seafood, just shell fish, scallops and mussels. Saffron was very subtle, but definitely there. 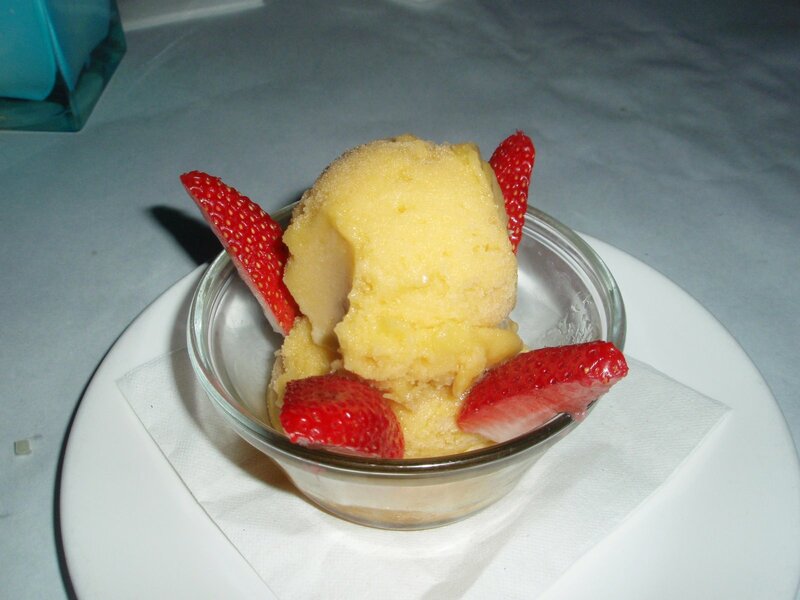 For desert, we shared a passion fruit sorbet. It was VERY refreshing, and yummy. I need to recreate this in the summer. Finally the bill came, and look how cute this is. For Donald, it was Donald Duck! This entry was posted on February 15, 2008 at 2:28 pm and is filed under *Yamahomo, holiday, Puerto Rico. You can follow any responses to this entry through the RSS 2.0 feed. You can leave a response, or trackback from your own site. nice pics Homo! 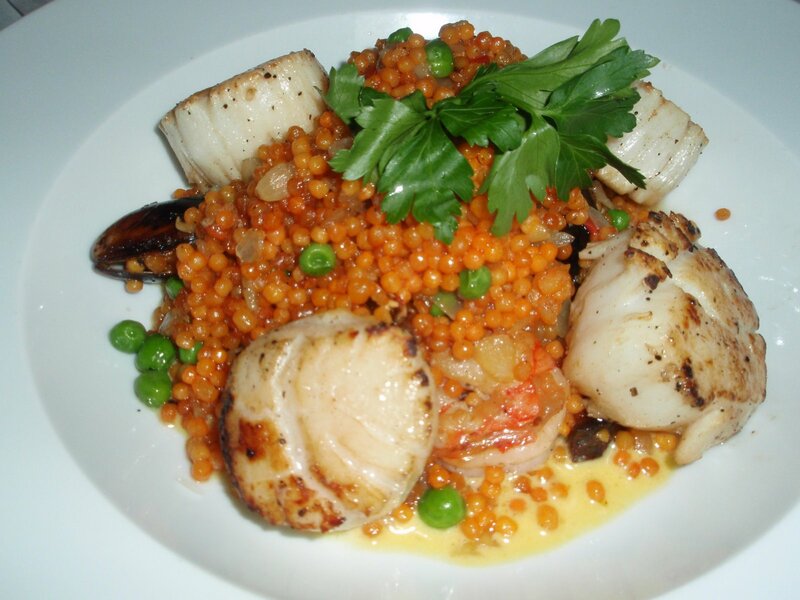 Donald’s dish of cous cous and scallops is pretty.